Guest and Gray has been a fixture of Kaufman county for years. We are the largest and highest reviewed law firm in Kaufman county for a reason. We put our clients needs first. 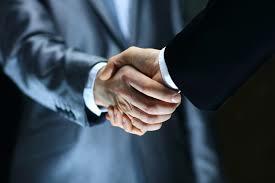 That is why more people choose Guest and Gray than any other law firm in Kaufman county. Period. We have a team of attorneys with various areas of practice. Need a family law attorney? We have that. Need a criminal defense attorney? Yeah, we can do that. Personal Injury? Check. Real estate law? You better believe it. We have real estate attorneys who know and understand the Kaufman county real estate market, home trends, and legal issues to watch out for, whether it be a residential or commercial property. David HagEstad, a member of our real estate law team, actually sold real estate in the Kaufman county area prior to practicing law. His knowledge of the real estate market and connections to the real estate community, as well as his knowledge of real estate law are a real commodity to our clients.